There's a SPORTSSTUFF emoji pool float for your every mood! change of mood flip them over! these 62 inch (deflated) pool floats are manufactured from heavy gauge rf-welded PVC to ensure long Service. There's a different emoji graphic on each side. This float features a huge size that'll give you plenty of space to stretch out while you float. 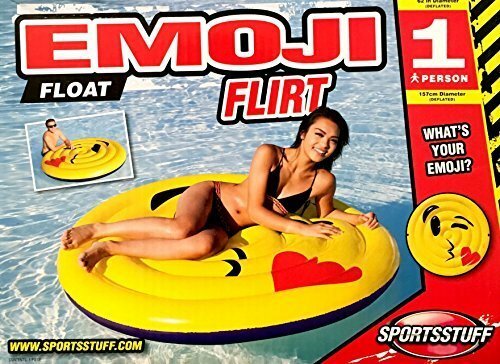 SPORTSSTUFF emoji's will make a statement at your next pool/lake party! custom double sided emoji graphics on each side showcase your mood. Heavy-duty K80 PVC construction. Safety Valve. Radio frequency welds. Whimsical round emoji design. Large lounging platform accommodates various relaxing positions. 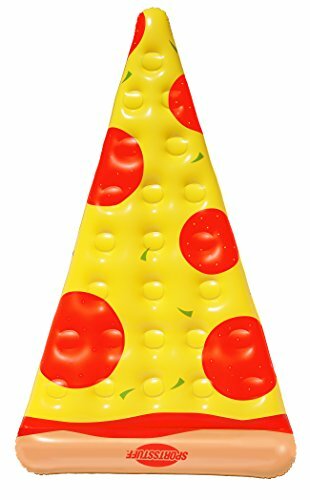 SPORTSSTUFF food series pool floats are as hilarious as they are functional! take a bite out of that summer heat by relaxing on your favorite summertime snack! imagine donut, popsicles and pizza floating in your pool! the heavy gauge rf-welded PVC construction ensures long Service. 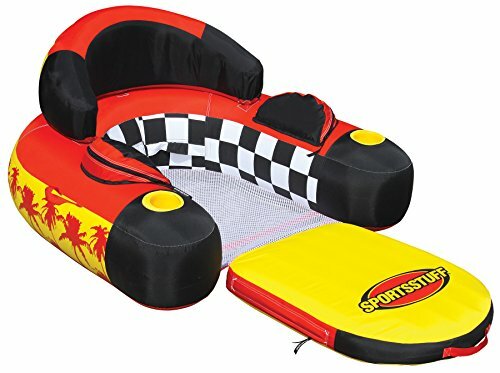 Perfect for lounge or play in your pool or lake! get all 5 food floats to satisfy your sweet tooth and ensure maximum pool time fun! custom innovative food graphics showcase your favorite food or desert. Heavy-duty K80 PVC construction. Safety Valve. Radio frequency welds. Unique food shaped construction. Large lounging platform accommodates various relaxing positions. 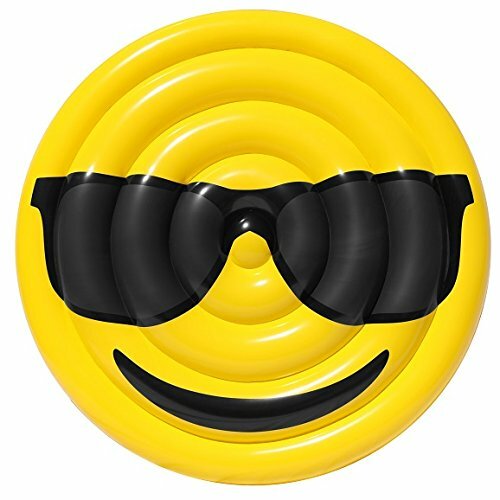 Featuring a round emoji design, the flirt pool float is perfect for poolside parties and lake lounging! 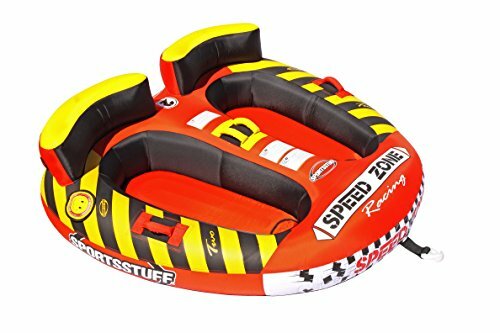 Manufactured with heavy-gauge PVC with RF welded seams, this quality float offers plenty of floating fun. It also features a cup holder, 2 rope eyelets, and is very easy to inflate! Fun for all ages! Ahoy there mateys! you'll be sure to avoid Davey jones' locker if you blow this duck up. 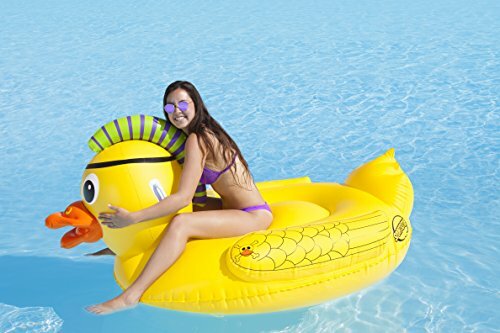 Give your sea legs a rest and weigh anchor on our inflatable pirate punk duck float. Enjoy a clap of Thunder and put your nipper in our built-a float. The new big betty series of towable is an off shoot from our popular mable series with the added feature of dividers between riders. It will continue to impress you with a variety of different riding options. Featuring dual tow points, you can go for a fun filled ride without the threat of banging into each other, utilizing the comfy backrest and the easy grips mounted on the dividers. Or tow them the opposite direction for a chariot style blast you'll never forget! all three sizes come equipped with comfy EVA foam seating pads. A multitude of foam filled webbing handles with knuckle guards enable lots of different riding positions. Air cushioned sidewalls help keep you on board. The patented speed safety valve and quick connect will save you time. The better feature a heavy-duty K80 PVC bladder and double stitched full nylon cover with self bailing drain vents. They also make the perfect deluxe lounge at any pool, beach, lake, or River. 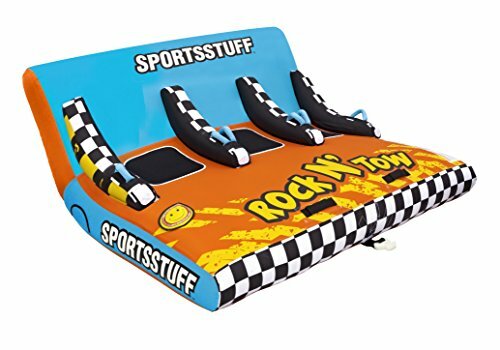 SPORTSSTUFF Rock n' tow is a tube and recliner in one! lay back and hang on, because the curved deck delivers a wild ride. 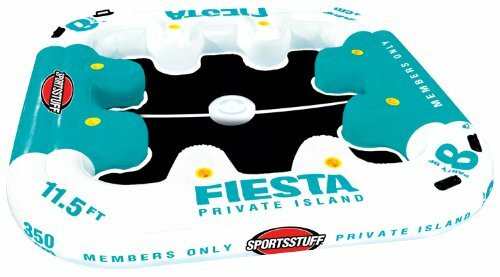 Enjoy the rocking action as the front lifts up and the rounded back dips down, taking your feet into the air while you glide across the water. This rocking' tube whips through turns and hurdles over the wake. The handles are perfectly located for you to sit back, relax and enjoy the ride. Little ones will enjoy the comfortable backrests and "Cadillac ride". teenagers and adults will have the time of their lives popping wheelies around the lake! rugged double-stitched nylon cover and heavy gauge PVC bladder. Features our patented speed safety Valve for the ultimate in inflating and deflating convenience. Mild or wild! sportstuff's pop a wheelies deliver both! connect the Kwik connect to the mild tow point (front) for a conventional tube ride. Connect it to the wild tow point (bottom) for a wild ride. In the mild position the tub e stays pretty flat on the water and ef fortlessly crosses the wakes. In the wild position, the front Lifts up and hence the name pop a wheelie! little ones will enjoy the comfortable backrests and "Cadillac ride". teenagers will have the time of their lives popping wheelies around the lake! rugged double stitched nylon cover and heavy gauge PVC bladder. Patented speed safety valve for the ultimate in inflating and deflating convenience. 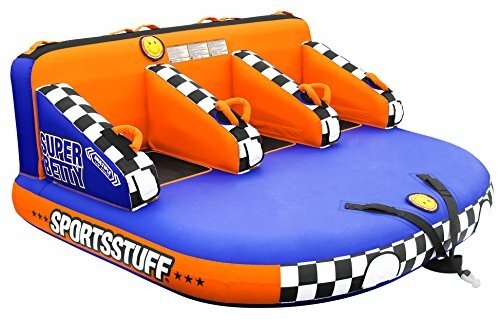 Looking for more Sportsstuff Raft similar ideas? Try to explore these searches: 270w Shp Replacement Lamp, Hookipa Outdoor 1 Light, and Suction Tub Bar. Shopwion.com is the smartest way for comparison shopping: compare prices from most trusted leading online stores for best Sportsstuff Raft, Louis Rams Keychain, Gap Skinny Leggings, Raft Sportsstuff . 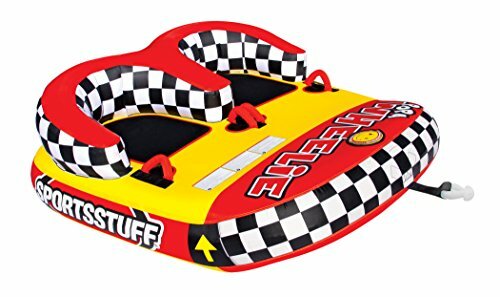 Don't miss this Sportsstuff Raft today, April 23, 2019 deals, updated daily.